[PDF] The Brain That Changes Itself: Stories of Personal Triumph from the Frontiers of Brain Science | Free eBooks Download - EBOOKEE! Description: An astonishing new science called "neuroplasticity" is overthrowing the centuries-old notion that the human brain is immutable. 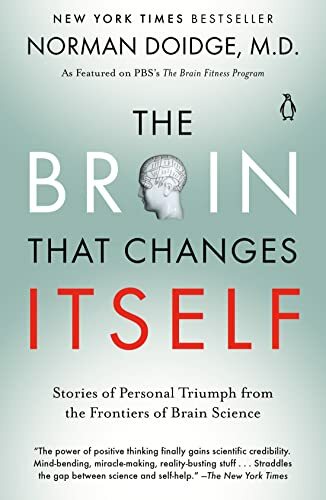 In this revolutionary look at the brain, psychiatrist and psychoanalyst Norman Doidge, M.D., provides an introduction to both the brilliant scientists championing neuroplasticity and the people whose lives they've transformed. From stroke patients learning to speak again to the remarkable case of a woman born with half a brain that rewired itself to work as a whole, The Brain That Changes Itself will permanently alter the way we look at our brains, human nature, and human potential. No comments for "[PDF] The Brain That Changes Itself: Stories of Personal Triumph from the Frontiers of Brain Science".